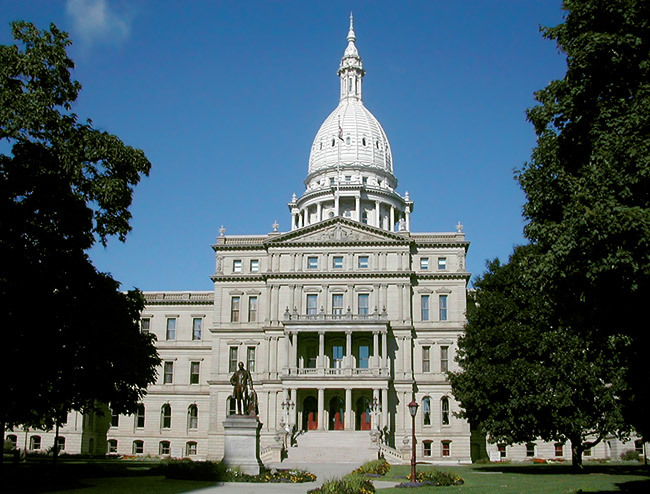 Known to many as “the Heart of Michigan,” Lansing is both the Great Lakes State’s capitol and one of its most productive cities. The town and its surrounding area is home to a host of educational institutions, including three medical schools, two law schools, and Michigan State University. These educational institutions in turn give rise to a host of advanced industries, including healthcare, technology, and auto supplies manufacturing. ExpeditedFreight.com offers express freight services to these and all other institutions. By keeping the capitol supplied, we make sure Lansing can continue to exert a positive influence on all of Michigan. All of Lansing’s industries face serious logistics challenges, both in obtaining essential parts and in shipping out finished products. Take automotive supply manufacturing, a field that has been expanding rapidly in the Lansing area. Automotive suppliers need to bring in metals, plastics, and a host of other inputs, many of which are not available in Michigan. Once they’ve turned these inputs into finished products, they have to ship them to automotive manufacturers without damaging them along the way. They can only accomplish all this if the carriers they work with are swift, careful, and capable of avoiding roadside damage. ExpeditedFreight.com has all these benefits and more. As an experienced expedited delivery company with a focus on the automotive industry, we serve Lansing’s automotive suppliers and all other advanced businesses in the area. Flexible Deliveries - We can deliver to or from any location in the Lansing metropolitan area. 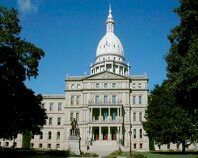 These include not just sites in Lansing proper, but also those in Grand Rapids, Battle Creek, Wyoming, Kalamazoo, and Jackson. No matter where in the region you operate, you can get the parts you need and ship out finished products without delay. Safe Service - We plan all of our routes so that your inventory never has to pass over bumpy or dangerous roads. We also load specialized storage equipment whenever it’s needed, and we make sure that our drivers have enough rest to be fully alert while they work. Through these and other precautions, we ensure that no harm comes to your shipments. Thus whether you’re shipping in inputs or sending out finished auto parts, you can be confident that they’ll be in pristine condition. Swift Solutions - Although we make safety our top priority, that doesn’t mean we deliver slowly. ExpeditedFreight.com knows well the tight deadlines that auto supply companies and other Lansing businesses face. We specialize in finding the swiftest routes in and out of Lansing, taking into account traffic patterns and other factors that can lead to delays. Our company also maintains a vast network of vehicles and coverage, allowing us to ship rapidly from or to any location in the United States or Canada. You’ll thus never have to worry about missing a deadline. ExpeditedFreight.com offers free quotes to all prospective customers, along with regular updates on current shipments and any other information you request. To learn more, visit ExpeditedFreight.com or give us a call at (313) 887-0577.